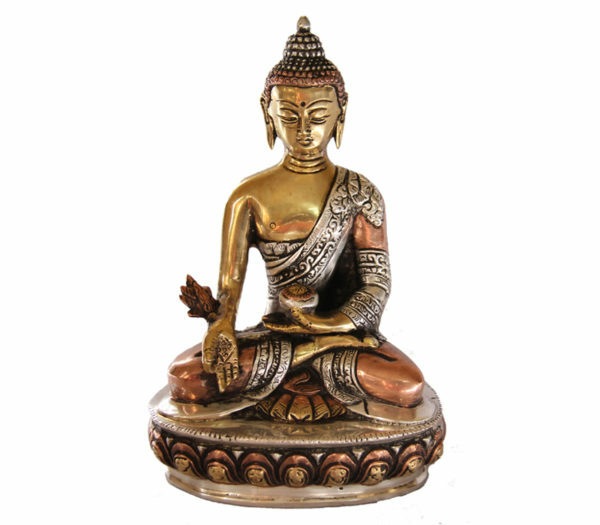 Pancha Dhatu Buddha refers to the Buddha of five elements. 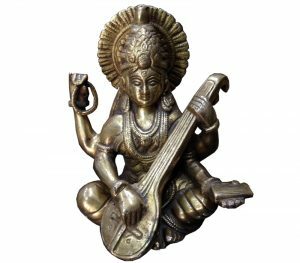 "Panch" refers to five and "dhatu" implies to metal or element in Sanskrit and Hindi. 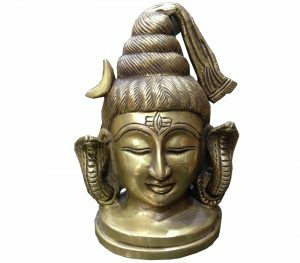 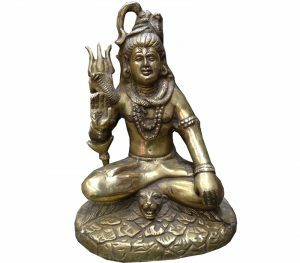 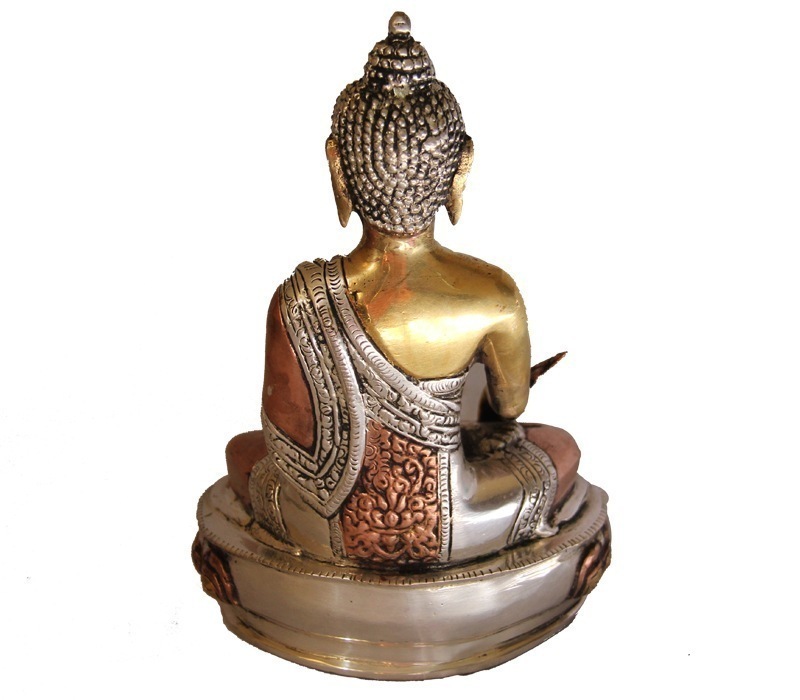 This silver, copper and bronze metallic statue features the revered ancient Buddha with curled hair sits upright with closed eyes and crossed legs in meditation. 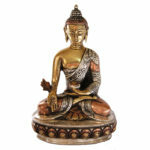 The light-yellow bodied multi-colored Buddha here wears a robe with detailed border carved all over in silver tinge. 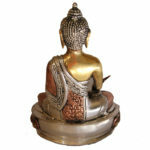 The statue sits on a metallic pedestal with refined designs and weighs 2KG. 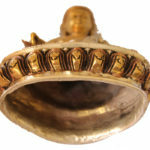 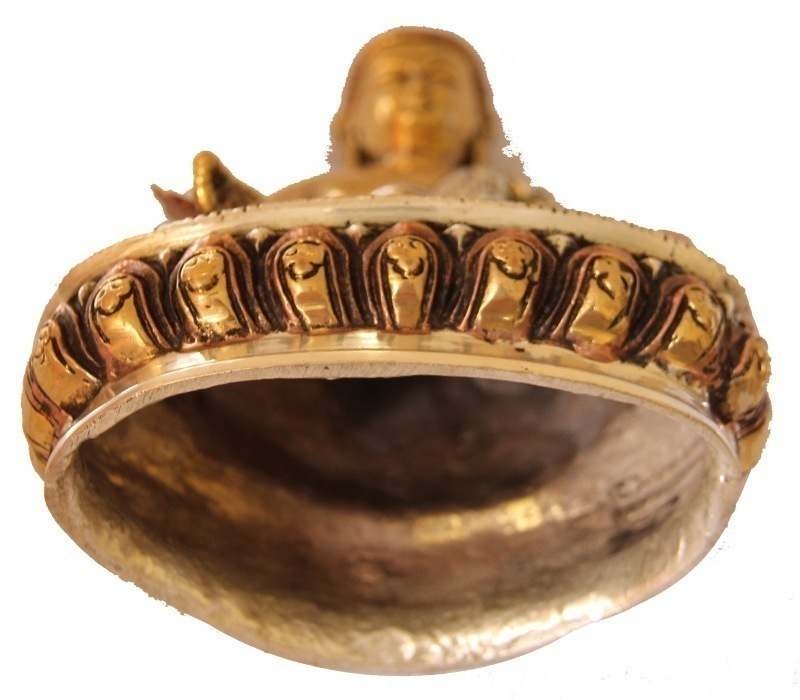 The exclusive sculpture makes for a remarkable gift for those interested Tibetan culture and other spiritual subjects.